He is a Fellow of The Royal College of Surgeons (Glasgow, UK), Fellow of the European Board of Surgery, Fellow of the Iraqi Committee of Medical Specialties (general surgery) and Fellow of the American College of Surgeons. 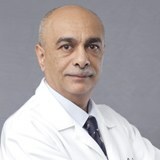 Dr. Faris is also the Vice Chairman of the European Board of Surgery, Board member of the European Society of Surgery and an examiner in the European Board of Surgery and a Member of the Scientific Surgical Committee of American Society of Abdominal Surgery. He has published many scientific papers in international journals and has trained at many international surgical centers. Dr. Faris is well versed in English and Arabic.